Charlie and the Cheesemonster - spacekids - space toys, dressing up costumes, kids spacesuits, astronaut food, cool space stuff! Charlie take a trip in his home-made rocket. 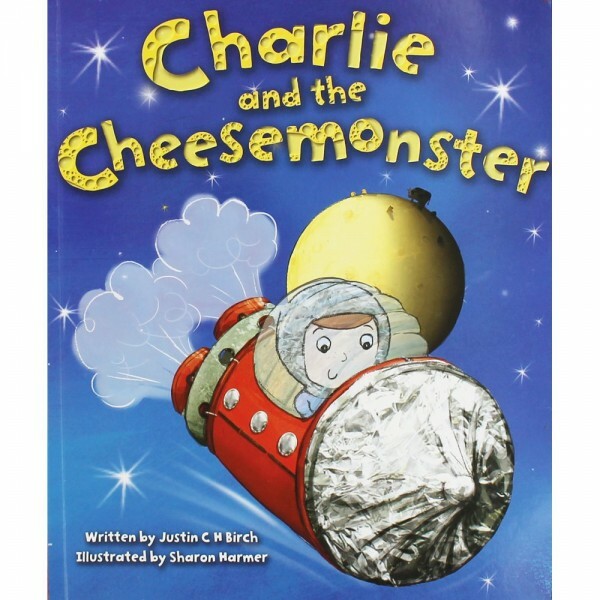 He lands on the Moon to discover that it really is made of cheese! Then he meets a strange creature who explains to him the real reason why the moon goes through phases every month. A charming bedtime story with a very cheesy ending!